Chances are high that you have lots of old camcorder tapes or VHS tapes tucked away somewhere with memories of your childhood, favorite holidays, your wedding, your children of perhaps even grandchildren. Wouldn't it be great if you could convert this old media to a more secure storage medium? 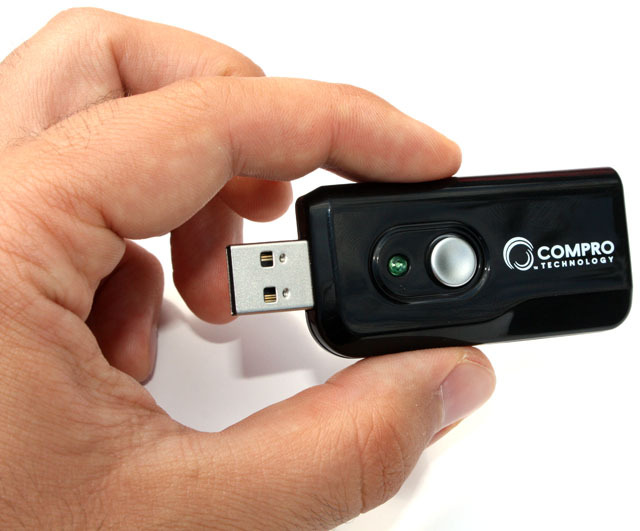 Look no further, the Compro VideoMate C200 Plus promises to be up to the job, this product is an USB video/audio capture stick that enables you to transfer video and audio to your PC without any hassle. Pictured below is the cardboard retail box of the C200 Plus, it's very descriptive and explains all the features of the C200 Plus. Inside the box is the VideoMate C200 Plus, it's about the size of a big USB memory stick but it's very lightweight. The black plastic enclosure feels kinda flimsy, but as this device isn't really meant to be carried around in your pocket this isn't a big issue for me. A green LED on the front lights up when data is being transferred, and pressing the round grey button enables you to take snapshots in the included CyberLink PowerDirector 7 DE software. There are other products on the market with the same functionality, but a USB stick is by far the easiest way to get analog audio/video to your PC. A very short booklet explains you how to install and use the product, while the Windows driver and a full version of CyberLink's PowerDirector 7 DE are found on the included CD-ROM. 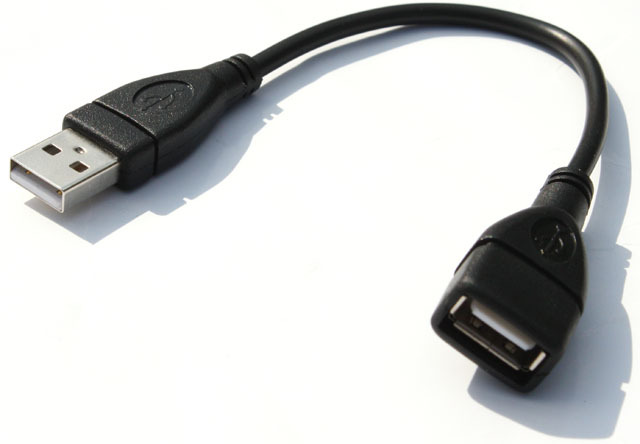 An USB extension cable is included, this may come in handy if you don't have any USB 2.0 ports on the front of your PC. 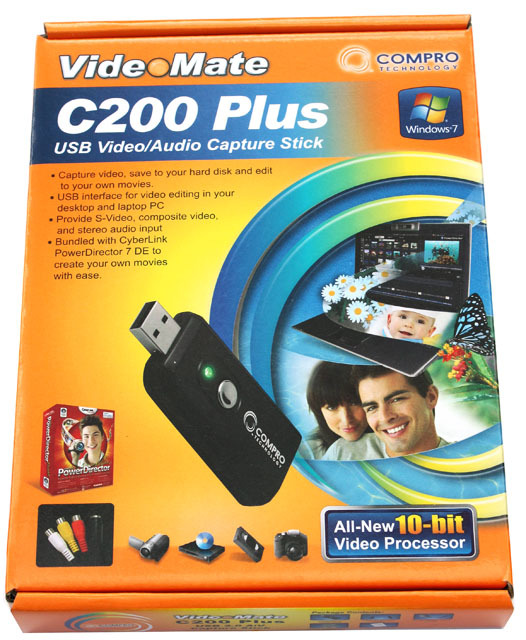 The back of the C200 Plus contains a sticker with the serial number and on the side of the stick is a tiny USB port for the video/audio input cable. 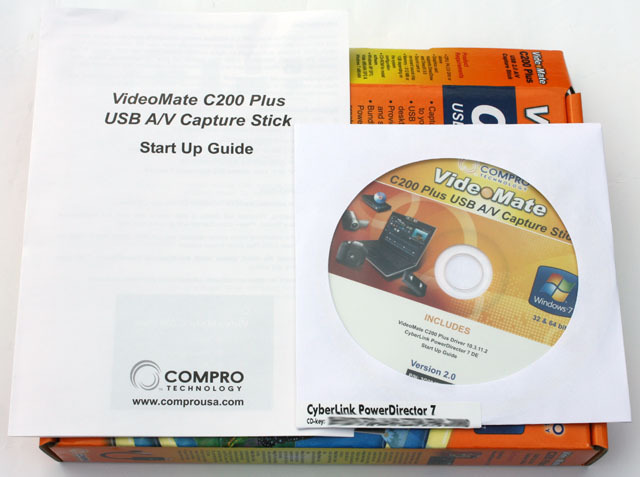 The USB cable pictured below plugs into the C200 Plus device, it features a left/right audio input, a composite video input and an S-video input. You can use this device to capture analog audio and video to your PC, it's compatible with all kinds of VCR/VCD/DVD players, camcorders (DV, Hi8, D8, MiniDV, etc), and even game consoles. The only requirement is that these devices must have either a composite or S-video output. To test this product I used it to capture an old 8mm video tape from a Sony Handycam Video8 series camcorder. Getting the VideoMate C200 Plus ready for operation is very easy, just insert the CD, install the driver and reboot your system. Insert the device into an empty USB 2.0 port and you're ready to go. The product is compatible with many software tools, including Windows Movie Maker, but for this test I decided to use the included CyberLink PowerDirector 7 DE. It's not the latest version of PowerDirector, but it's a pretty nice tool as this software usually costs around 40-50EUR. Simple Steps to Create Your Own Video - gives you all the tools you need to produce great-looking home movies. Follow an easy, step-by-step workflow that lets you spend your time being creative rather than learning technical editing. Magic Movie Wizard: Magically creates an edited movie blended with stylish effects and transitions. Magic Clean: Cleans audio, video and image clips. Magic Motion: Adds zooms and pans to image clips. Magic Cut: Automatically condenses long video segments into shorter clips that contain only the best moments. Magic Fix: Fixes shaking videos, removes red-eyes and enhances the focus on photos. Magic Style: Creates professional movies with pre-designed style templates automatically. Directly output the finish video to YouTube and share with friends. Support DVD menu design and disc burn. Capturing video from my camcorder was a breeze, the software automatically recognizes the video/audio feed and I only had to hit "Record" in the "Capture" screen to start capturing. In this screen you can adjust the quality settings and when you hit "Stop" the software will save the file to your hard disk. The quality is similar to the files I get by recording the camcorder tapes to a DVD via my DVD recorder. Once you've finished capturing the video can be imported in the "Edit" screen to perform video editing. 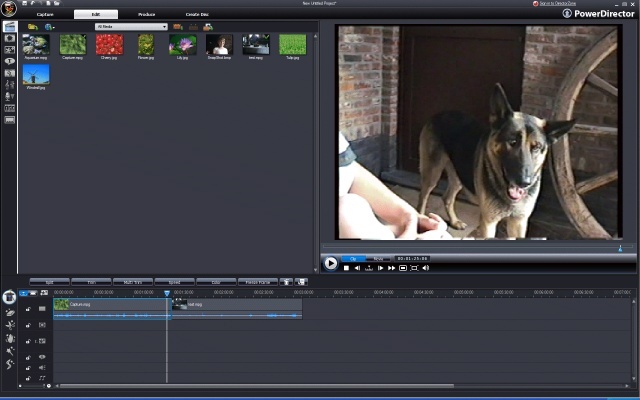 You can do basic actions such as trimming/splitting, add frames, and adjust the framerate, but the software also offers more advanced features such as movie blending effects, transitions, white balance adjustment, video stabilization to correct shaky video, and more. Once you've finished editing you can save the file on your PC, upload it to YouTube, write it back to your DV/HDV tape, or write it to a DVD via the Disc Creation wizard. 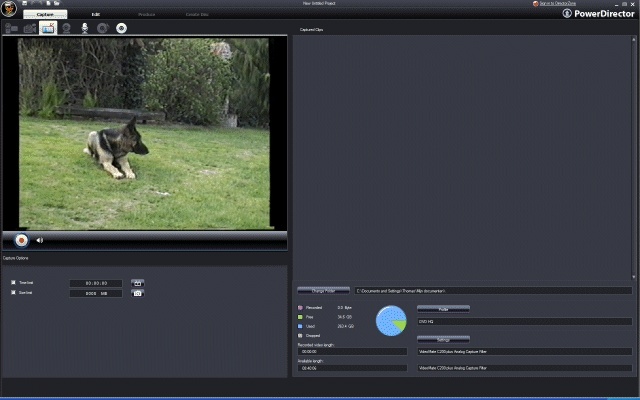 The software is easy to use, it's not as advanced as the tools offered by firms like Adobe and Ulead, but it will do the job to help you author your old analog videos. 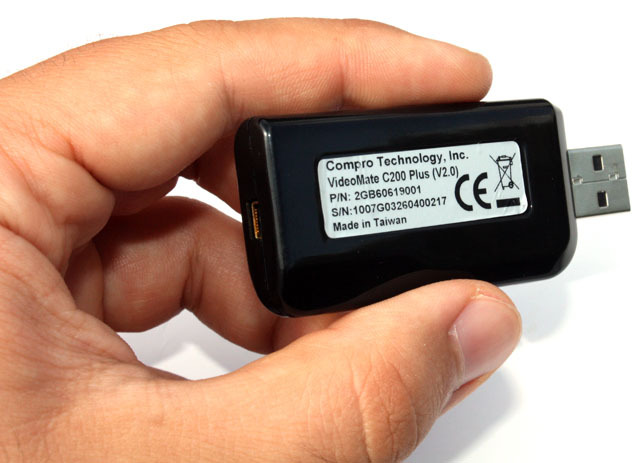 The Compro VideoMate C200 Plus is a great product to convert old camcorder and VHS tapes to your PC. The installation is very easy, once the included software is installed you're just a couple of clicks away from recording the first images to your computer and the bundled PowerDirector software features everything you need to create videos that are presentable to other people. I give the Compro VideoMate C200 Plus a 8.5/10.